Karen (and I) could really use a vacation, which is why Pegman is taking us all to the British Virgin Islands. 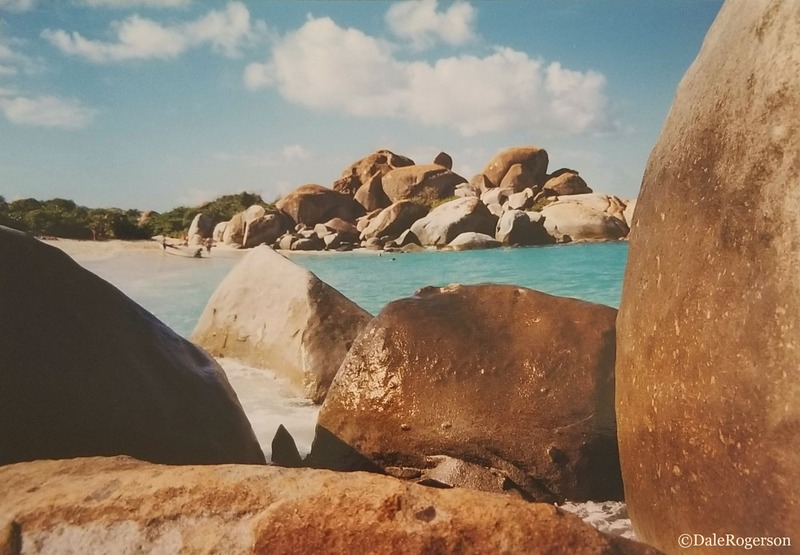 Having had the opportunity to visit this beautiful island way back in 2001, I could not resist participating in this week’s Pegman, using my own image(s) (sorry my pictures are pictures of pictures). So thank you, Karen, for choosing this fabulous place! Last stop on our cruise was Virgin Gorda. We’d never heard of it but were stoked to visit an island outside of the regular Caribbean cruise destinations. Bruce, a dancer on the ship and our new bestie, promised us something spectacular. He was taking our gang to “The Baths”. The trek to the beach was amazing. 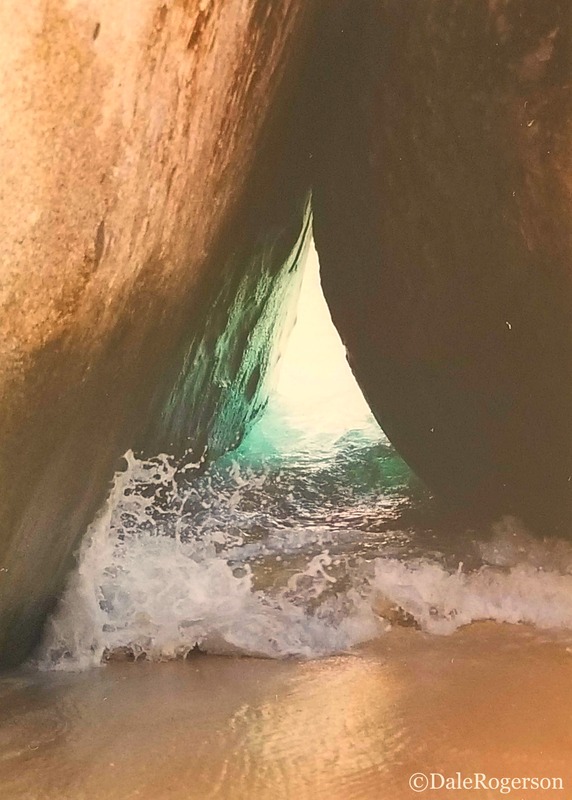 Through caverns, up and over rocks, wading in a few inches of water, crouching here, gazing at the beach through peepholes there. It was fun and a great work-out. “Time to go! Tide’s coming in. If we don’t leave now, we’ll miss the boat!” We laughed at him. He insisted. Walking back, we saw how right he was. The few inches of water was now up to our knees.